Rip Ride Rockin Roller Coaster Universal Orlando After Nightfall. 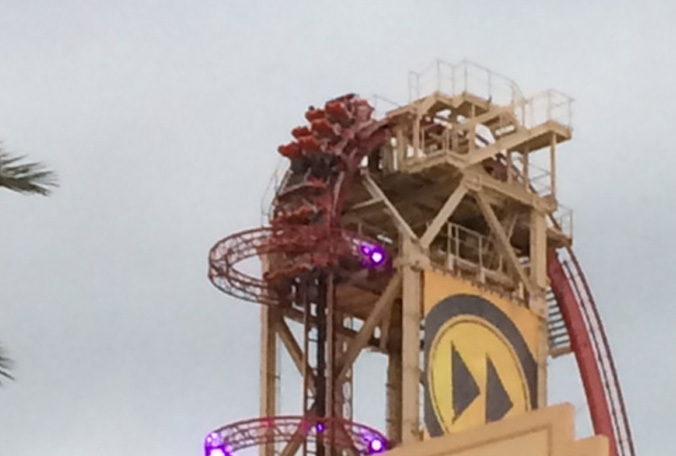 Orlando, Florida — Around 7 p.m. on October 9, 2013, 12 people found themselves stuck in a vertical position on the ‘Rip Ride Rockit’ roller coaster at Universal Studios. 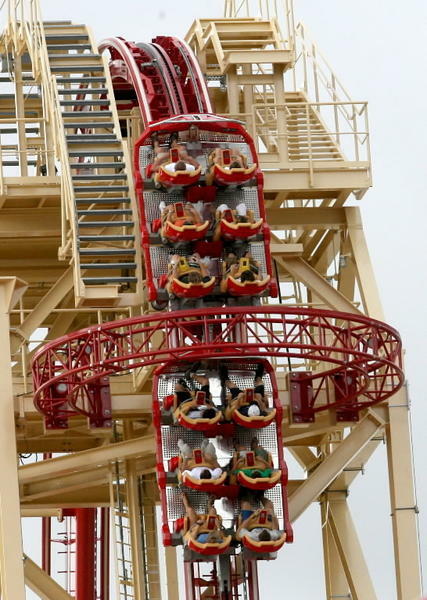 The riders were stuck in the vertical position for over two hours. A spokesperson for Universal said that a technical malfunction caused the roller coasters emergency brake system to engage, bringing the roller coaster to a dead stop. Orange County Firefighters performed an emergency rescue of the riders. The firefighters had to remove the riders one by one, with extreme caution due to the danger of being 167 feet in the air, in a vertical position. Rip Ride Rockit Roller Coaster Universal Orlando After Nightfall. Firefighters On The Scene. Rip Ride Rockit roller coaster is capable of speeds up to 65 mph, and is titled as Orlando’s’ tallest roller coaster. This is the second time this year there has been a technical issue with the roller coaster. 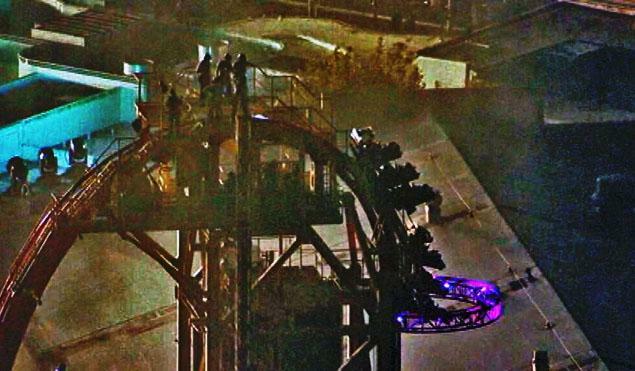 As of 9.27 p.m. all 12 riders have been rescued and one rider was taken to the hospital complaining of neck pain. An investigation is now underway as to why the roller coaster’s braking system was engaged.